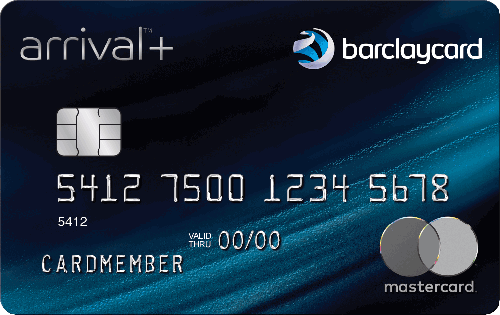 Barclaycard Arrival Plus® World Elite Mastercard® is for people who want easy, flexible travel rewards. Points can be used with any airline, hotel or travel company without limits or blackout dates. Card holders earn 2x miles for every dollar spent plus can earn a 70,000-point sign-up bonus, which is worth $700 in travel. Qualify for the bonus by spending $5,000 in the first 90 days after opening an account. Redeem rewards starting at 10,000 points for a $100 statement travel credit, and every time you redeem get 5% bonus miles toward your next redemption. If you want a romantic weekend getaway in a small hotel or a big trip to Europe, this card can make it happen. This card comes with an $89 annual fee. 100 points are worth $2 when redeemed for non-travel purchases and $2.10 when redeemed for travel, which is not the best for rewards points. Being able to use points for a statement credit rather than transferring for rewards bookings with airlines and hotels is a big benefit. With a competitive annual fee, 2x points earned per dollar and one of the most flexible travel rewards program that exists, this card is best for someone who wants to enjoy free travel rewards without the hassles of a more complex rewards card. This card is a great primary spending card for day-to-day spending where you can’t get a higher or more valuable bonus from a competing card. Earn 70,000 bonus miles after you spend $5,000 on purchases in the first 90 days. Terms apply. We love the Bank of America® Travel Rewards credit card because of its straightforward rewards program and no annual fee. You'll earn 1.5 points per dollar spent on ALL your purchases (no annoying category restrictions or shifting requirements). There is no limit to the number of points you can earn. And you will also receive a 20,000 point bonus after spending $1,000 within the first 90 days. Since each point is worth one cent, the bonus has a $200 value. One of the best things about the Bank of America® Travel Rewards credit card is how easy it is to redeem the rewards you earn. It’s also the reason why people stick around and become long-term cardholders. To redeem your rewards, it’s as simple as booking travel like you normally would and then applying your points as a statement credit toward those charges. If you're willing to pay an annual fee, there may be other cards with higher rewards rates or more valuable bonuses. Also, this card is only available to those with excellent credit. 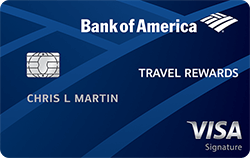 The Bank of America® Travel Rewards credit card is perfect for someone that wants a new credit card with a simple rewards program and no annual fee. Not only will you earn a generous signup bonus, but also a flat reward rate on all purchases you make. There will be no worrying about whether or not your card earns bonus points on specific purchases. Do you dream of flying off into the sunset on trips to exotic places? Do you want the flexibility of instantly transferring your points to airline programs like United and Southwest, or to hotel programs like Hyatt and Marriott? Chase Sapphire Preferred® Card offers those benefits and more. Earn a massive 50,000 bonus points after spending $4,000 in the first 3 months that you have the card. That alone is worth at least $625 in free travel through the Chase Ultimate Rewards® portal. In addition, you'll get best in class travel protection. 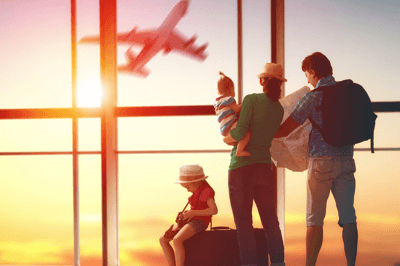 On trips you pay for with your card, cardmember benefits include baggage delay insurance, up to $10,000 in trip cancellation insurance (for trips you can't make due to serious illness or other qualified reasons), and up to $500 in trip delay coverage when flights leave you stranded overnight or for more than 12 hours. Getting this card with such massive rewards does come at a price. The card has a $95 annual fee after a $0 intro period for the first year. However, if you're someone who spends frequently on travel or dining, the bonus and high rewards rate should more than make up for the cost of the annual fee. This is not just the best travel rewards card right now, it may be the best travel rewards card ever. Transfer points 1:1 to an impressive list of travel partners for free flights and hotel stays. Or book through the Chase Ultimate Rewards® portal with no blackout dates and receive 25% more value on your points. If you are a frequent traveler, this card is a must-have for your wallet. If you love flying around the world for free, the British Airways Visa Signature® Card is an excellent choice to help you do just that. Earn 4 Avios for every dollar spent on purchases in your first year up to $30,000. That is up to 120,000 bonus Avios. You will then earn 3 Avios per dollar spent on British Airways purchases and 1 Avios per dollar spent everywhere else.When you book by March 31, 2020 through the website provided in your welcome packet you will receive 10% off all British Airways Flights. This card charges no foreign transaction fees, offers travel and purchase benefits and a free companion ticket each year you spend $30,000 or more on the card. This card comes with a $95 annual fee, that’s not waived the first year. Cardholder APRs range from 18.24% - 25.24% Variable based on your credit history. Also, keep in mind that British Airways does charge taxes, fees, and carrier charges, which can be quite expensive for overseas travel. If you love travel, this is a great card for you. With a big enough bonus for a free trip to Europe, the $95 annual fee is easily justified. British Airways is a member of the Oneworld alliance, which includes American Airlines and many others so you can reach destinations in the United States and abroad with your Avios. This is our favorite airline-specific credit card available today, and could be a great addition to your wallet. Simply tap to pay with your contactless British Airways Visa Signature Card. Just look for the contactless symbol at checkout. It’s fast, easy and secure! Frequent flyer and hotel travel rewards programs can be complicated to deal with. If you hate blackout dates and booking rules and just want to earn miles to use however you want for travel, this is the card for you. Capital One® Venture® Rewards Credit Card Rewards offers a flat 100 miles = $1 redemption program. Earn 50,000 miles after spending $3,000 in the first 3 months you have the card. Earn 2x miles for every dollar you spend. Book through your favorite airline or hotel website and redeem your miles for a statement credit, giving you maximum flexibility using your travel rewards. Some rewards programs offer lucrative point valuations. Capital One® Venture® Rewards Credit Card offers a flat rate of $1 per 100 miles. Because of this, it is not the highest value travel rewards point available today. The card has a $95 annual fee, waived the first year. If you love travel but hate the complexity of travel rewards programs, this is the card for you. Just book your travel reservations as you would without miles, then reimburse yourself from the cost by logging in and redeeming miles. Every $100 you spend gets you $2 in free travel. It is simple, flexible and our favorite flat-rate rewards credit card available today. Business owners who involve traveling often in their daily lives should be paying attention to the Ink Business Preferred℠ Credit Card. Every year, you can rack up 3 points for each $1 you spend on up to $150,000 in the following business expense categories: travel and shipping costs, internet, phone and cable bills and advertising with social media and search engine websites. Past that threshold and everywhere else, 1 point is offered for every dollar spent. In fact, if you spend at least $5,000 during your first three months as a cardholder, you’ll earn 80,000 bonus points. Additionally you can earn a 25% points bonus if you redeem your points through the Chase Ultimate Rewards® redemption site. You’re free to spend your points in a plethora of ways, including as a statement credit, deposit to a U.S. checking or savings account, gift card or a credit to your Amazon.com account. There’s also no foreign transaction fee, so feel free to use your card while traveling abroad. Extra fees can take a sizeable bite out of your yearly rewards earnings so it’s worth nothing that this card has a $95 annual fee. Because this card has the opportunity to earn so many points for cardholders, you may decide that the fee is more than worth the cost. The point-earning possibilities are substantial with the Ink Business Preferred℠ Credit Card. If you’re a business owner who travels often for your work, consider this card knowing it can provide you with great benefits. A low-cost card offering simple and substantial benefits, the Capital One® VentureOne® Rewards Credit Card can help you save on any travel expenditure. No matter where you choose to spend your money, you’ll earn 1.25x miles on every purchase you make, with no limits or expirations placed on your rewards total. Spending $1,000 during your first three months with the card will earn you 20,000 bonus miles. Once you’ve accumulated enough to cover the cost of your trip, simply book it and redeem your miles as a statement credit. A 0% introductory purchase APR will eliminate your interest rate for a year, and there’s no annual fee to remain a cardholder. If you are a loyal American Airlines customer, you’ll earn double miles for every purchase you make with the airline with the Citi® / AAdvantage® Platinum Select® World Elite™ Mastercard®. You’ll also earn 2 miles per dollar at restaurants and gas stations, with 1 mile per dollar for everything else you spend on. If you want to take a trip soon after becoming a cardholder, you can expand your rewards quickly by spending $2,500 during your first three months, for which you’ll earn 50,000 bonus miles. In-flight benefits also include a free first checked bag, preferred boarding on domestic flights and a 25% discount on in-flight food and drink purchases when you use your card. Fees are a mixed bag: there’s a $99 annual fee for the card, but no foreign transaction charges while using the card abroad. You’ll earn an extremely solid 1.5x miles on every purchase you make with Discover it® Miles. Whatever mileage total you compile at the end of your first year, Discover will match, doubling your rewards. Furthermore, you’re not locked into solely redeeming your miles to cover travel costs, as they can be flipped for cash back, as well. Your fee and interest rate structure with this card will be above average as well, with a 0% introductory purchase APR being offered for 14 months following your account’s opening. There’s also no annual fee or foreign transaction fees, so if used correctly, the Discover it® Miles has the potential to become your main credit option. Intro Offer: Discover will match all the Miles you've earned at the end of your first year, automatically. For example, if you earn 30,000 Miles, you get 60,000 Miles. That’s $600 towards travel! No Blackout Dates -fly any airline, stay at any hotel. A travel credit card offers travel-related rewards. As your rewards add up, you may be able to swap them out for all sorts of prizes and benefits, from free flights and priority boarding to discounted hotel stays. You may even be able to donate your rewards to charity. Some of the best travel credit cards make it easy for cardholders to earn airline miles or points. Knowing as much as you can about travel credit cards and what they have to offer can help you pick the right card for your wallet. Depending on the kind of travel credit card you apply for, the terms points and miles could be used interchangeably. But that’s not true with every travel credit card. With points, you may have more flexibility when you’re ready to redeem them. For example, you may be able to exchange your points for gift cards, cheap airfare and cash. Or you may be able to transfer them to a frequent flyer program. You may also be allowed to redeem your points for a statement credit that can be used to pay for cruises and rental cars. With some programs (like frequent flyer programs), you can only use your miles to buy plane tickets and make other purchases through a specific commercial airline. With others, you can redeem your airline miles for hotel rooms, gift cards, merchandise and flights through different airlines. Either way, points, miles and even cash back are earned in a similar manner. For every dollar you spend on qualifying purchases, you’ll be able to earn a certain number of rewards. In many cases, you’ll earn one point or mile for every dollar you spend. Of course, with many travel credit cards there are strategies you can implement to earn double or triple the amount of rewards you would normally earn. Shopping with a preferred merchant, for example, may be an easy way to score bonus points and miles. With some travel credit cards, the rewards system is structured in a way that gives you more points or miles for making specific purchases. For instance, a credit card may give you two points for every dollar you spend on travel and restaurant meals and one point for every dollar you spend on everything else. With other cards, you may earn two miles for every dollar you spend regardless of where you’re shopping. Travel credit cards can be divided into several different categories. There are airline credit cards that are usually attached to frequent flyer programs. In most cases, you must book a flight with a specific airline or buy one of its products in order to earn miles. If you have a generic airline miles credit card, you’ll be able to trade in your miles for plane tickets and merchandise sold by multiple airlines. There are travel credit cards that let you earn points that you can use to book flights directly or use through an airline loyalty program. But you may not have access to some of the benefits that you’d get with an airline miles card (like baggage fee waivers and seat upgrades). There are also general travel credit cards that give cardholders the freedom to redeem their rewards for flights and various travel-related expenses. When a travel credit card is sponsored by more than one company, it’s known as a co-branded credit card. Examples include the credit card sponsored by both Delta and American Express and the one sponsored by Visa and Amazon. Hotel credit cards fall under the umbrella of co-branded cards. A hotel credit card usually gives consumers the chance to earn points that they can redeem for hotel room upgrades and free nights. Normally, you can earn rewards for making everyday purchases at gas stations and grocery stores and purchases at airports and car rental agencies. But you’ll get extra points when you use your card to pay for a stay at the hotel chain that sponsors your card. Some of the best travel credit cards that are sponsored by hotels let you swap out your rewards for a statement credit that you can use at the spas, restaurants and other establishments that you visit during your stay at a particular hotel. Other hotel credit cards let you redeem your rewards for theme park tickets and other perks. The perks that go along with using a travel credit card can be pretty sweet. Just by using your credit card, you’ll be able to earn points or miles that can save you money on baggage fees and other expenses. Travel rewards cards can also come with benefits that you may never have thought a credit card could have, like roadside assistance, travel accident insurance, luggage protection and concierge services. Travel rewards also make it possible to take trips around the world or go on cruises without spending a fortune. Foreign transaction fees can add up. These fees usually range from 1% to 3% of each charge. Luckily, there are many credit cards that don’t charge a fee when you use them abroad. Travel credit cards tend to come with the biggest sign-up bonuses. If you can earn thousands of points or miles within 90 days of opening an account, it won’t take as long to earn enough rewards for your dream vacation to Barcelona or Cape Town. If you have an airline credit card, you may get access to buddy passes and discounts on in-flight food and drinks when you earn a certain number of rewards. Joining an airline’s loyalty program may pay off in the long run if you consistently use the same airline. And becoming a frequent flyer could be convenient. Traveling could be more rewarding if you get to relax in a comfortable private lounge and board your flight before everyone else. By applying for a hotel credit card, you may automatically qualify for elite status at a hotel (or get a shortcut to elite status). As an elite member of a hotel loyalty program, you may be eligible for late or express checkout, free access to hotel fitness centers, complimentary breakfast and gift shop discounts. If you’re trying to trim your budget or reduce your travel costs, applying for a travel credit card could be a good idea. You’ll earn rewards that you can use to offset the cost of a hotel room, a trip to an amusement park, a cruise to the Caribbean or an international flight. Travel credit cards can also save you money on travel-related fees and any snacks you want to buy while you’re on a flight. Depending on the kind of card you apply for, you could save money on purchases that have nothing to do with traveling. If your travel credit card has a complimentary extended warranty policy, for example, you could get a refund on an appliance or another item that you charged to a card after the original warranty expires. Extended warranties purchased separately can cost over $100. Credit card companies usually issue travel credit cards to borrowers with high credit scores. But if you wanted to raise your credit score from 700 to 750, you could use a travel rewards card to do that (as long as you’re making good financial decisions). With a higher credit score, you’ll quality for lower interest rates when you apply for other loans and lines of credit. That’s another way to save money with a travel credit card. Of course, it’s worth nothing that a travel credit card will only save you money when you pay very few fees and little or no interest. That’s why these kinds of cards are best for consumers with good money management skills. While there are many benefits to having a travel credit card, there are some disadvantages that you’ll need to watch out for. For one thing, redeeming your rewards may not be easy (especially if your schedule isn’t flexible). Some travel credit card programs have blackout dates that restrict your ability to redeem your rewards. Using your miles to book a flight for Thanksgiving or Labor Day weekend may not be possible if there are blackout dates around the times of year when most people travel. Furthermore, your travel rewards may not be around forever. In many rewards programs, points and miles eventually expire. You could also lose your rewards by closing your credit card account. That could be an issue if you can only use your miles to buy plane tickets and you only fly a couple of times per year. Even if your rewards don’t expire, there may be a cap on the number of points you can earn annually. Loyalty programs can also change regularly. That can affect your ability to redeem your points and miles. Specifically, it can reduce the value of your rewards so that you need to earn more before you can claim a certain prize or product. And if you think you’ll be able to trade in your miles or points for a free flight, think again. You’ll still be responsible for paying fees and taxes. For domestic flights, that shouldn’t be a big deal. But for international flights, those extra charges could leave you with a big bill. There’s another downside to travel credit cards: The annual percentage rates and fees associated with them are typically higher than the ones tied to standard credit cards. An annual fee may be unavoidable, particularly if you’re looking for a card that will allow you to earn a large amount of rewards. You could also get stuck paying an international transaction fee. Filling out a credit card application will cause your credit score to dip slightly. Applying for new credit is considered a hard inquiry (or an action that affects your credit). Multiple new credit inquiries within a few months could indicate that you’re desperate for additional credit. Someone with good credit may not even qualify for a new credit card if a card issuer believes that he or she has recently submitted a large number of applications for new credit. Opening a new credit card account may also lower your credit score by lowering the average age of your accounts overall. This factor accounts for 15% of your score in the FICO scoring model. That’s the credit score that’s most widely used among lenders and creditors. If you can qualify for a travel credit card, the way it affects your credit score will vary based on how you use your card. If you’re paying your credit card bill on time and keeping your credit utilization ratio below 30% (that’s the amount of credit you’re using as a percentage of your total credit limit), your credit score may rise. But going over your credit limit every month or failing to make the minimum credit card payments can hurt your credit. Applying for a credit card in order to get a sign-up bonus, closing it and going through the same process over and over again can also have a negative impact on your credit score. That process is known as credit card churning. It works best for folks with long credit histories and high credit scores. So if your credit history is 20 years long and your FICO credit score is above 800, churning credit cards shouldn’t destroy your credit (especially if you space out your credit card applications). But if your credit history is just three years long and your FICO score is below 600, opening and closing accounts will likely have a detrimental effect on your credit. Canceling credit cards in particular can cause your credit score to fall substantially. Getting rid of an account could raise your credit utilization ratio. According to the FICO scoring model, 30% of your score depends on your credit utilization ratio (also referred to as your debt-to-credit ratio) and the total amount of debt you haven’t paid off. Often, the higher your credit utilization ratio, the lower your credit score. Opening and closing lots of credit cards could also be a problem if you’re planning to apply for a mortgage or a car loan in the near future. If you want to make credit card churning your new hobby, you may need to wait at least six months before filling out an application for an installment loan (debt that’s paid off over time according to a set schedule). Who Should Apply for a Travel Credit Card? Generally, you’ll need a good or excellent credit score in order to qualify for one of the best travel credit cards. You’ll also need to have a good credit history without bankruptcies, foreclosures, liens and other derogatory marks. If your credit isn’t in tip-top shape (meaning that it’s below 700) and you have some negative marks on your credit report, you may have to do some research in order to find a card that you’re eligible for. If you find yourself in that boat, it’s probably best to improve your credit score before applying for a travel credit card. You can build credit by trying to pay down your existing debt and paying your credit card bill by the deadline every month. Going to annualcreditreport.com and requesting a free copy of your credit report could be a good idea. That way, you can dispute any errors that may be dragging down your credit score. It’s also important to keep in mind that every travel credit card isn’t a good fit for every traveler. Some travel credit cards are ideal for business travelers who take trips abroad regularly. Other cards work well for people who take trips every once and a while. The ideal candidate for a travel credit card is someone who never carries a credit card balance. If you pay your credit card bill in full (and on time) every month, you’ll never have to set aside extra money for late fees or interest payments. And then you’ll be able to maximize your travel rewards and save money. Which Type of Travel Credit Card Do You Need? A generic airline credit card could be perfect for anyone who isn’t loyal to a particular airline. If you’re always hunting for a bargain when you’re booking flights, signing up for an airline credit card and a frequent flyer program probably wouldn’t be a good idea. On the other hand, if you usually go through the same airline whenever you need to buy a plane ticket, you could be better off with an airline credit card. Being loyal to one airline and its affiliates could work well for you. And being able to waive your baggage fees and get access to priority boarding could reduce some of the expenses and stress associated with traveling. Being able to change your flight plans at the last minute or adjust your schedule to catch a plane can help you make the most your airline miles. If you travel often and you always stay at the same hotels, you may want to apply for a co-branded hotel credit card. If your budget can handle it and you want the best deals on hotels and flights, you may need a hotel credit card and an airline credit card. Anyone who isn’t loyal to a particular hotel or airline may want a general travel credit card. Best of all, you’ll be able to redeem rewards for just about any travel-related expense. You won’t be as affected by blackout dates. And if you’re trying to book a flight and the airline lowers the value of its rewards, you can simply buy a plane ticket from another airline. But the downside is that you may not be able to take advantage of the kinds of perks available to frequent flyers (like lounge access and companion passes). If you’re mainly trying to save money on flights and you don’t care about applying your rewards to other kinds of travel expenses (and you have no loyalty to a single airline), you may want to apply for a travel credit card that simply lets you earn points. Still not sure which kind of card is right for you? Looking at a list of the best travel credit cards and evaluating those offers can help you decide what appeals to you. It’s important to search for cards that will help you meet your goals, whether you’re trying to qualify for free hotel rooms or avoid bank fees whenever you travel outside of the country. Before applying for a travel credit card, it’s best to evaluate various offers carefully. It’s a good idea to look at the kinds of benefits that credit cards offer and decide which ones are most important to you. Would you prefer to have a credit card with a sign-up bonus? If so, it’s best to find a card with a low minimum spending requirement. Or could you live without a sign-up bonus as long as you can earn points or miles every time you use your credit card? If having an online bonus mall is important to you, that’s something else to look out for. These shopping portals can help you earn bonus points and score discounts on products sold by your favorite retailers. You’ll also need to take a look at the interest rates and fees that’ll apply to the credit card you want and weigh them against the card’s benefits. According to Value Penguin, the average annual percentage rate attached to travel rewards credit cards is around 15.99%. On average, APRs for hotel and airline credit cards are 16.12% and 16.24% (respectively). Many of the best travel credit cards have 0% interest promotions for balance transfers and/or regular credit card transactions. Avoiding interest payments for a year after opening your account can save you quite a bit of money and help you make the most of your travel rewards. As you’re reviewing travel credit card offers, you may want to look for cards that make it easy to earn rewards. If a rewards earning structure seems too complicated or has too many limitations, you may need to consider other options. What’s more, you wouldn’t want a travel credit card that forces you to spend money on items that you wouldn’t normally buy just to rack up rewards. Your lifestyle is perhaps one of the most important factors to consider when comparing the best travel credit cards. Considering where your hard-earned dollars go can help you choose the card that best fits your needs. So if you enjoy traveling and trying out different restaurants, you might want to consider a card that gives you two points for every dollar you spend on travel expenses and dining. You’ll also need to think about your credit card payment habits and how much debt you can afford to take on. All of the money you spend with your credit card will need to be paid off at some point. Thinking about your budget is particularly important if you’re considering a travel credit card with a sign-up bonus. If you can’t pay your balance in full every month after opening your account, you’ll need to be prepared to pay interest. Fees matter, too. Some travel credit card programs come with an annual fee but waive the charge for the first year the account is open. Annual fees attached to travel cards can be as high as $500. If that’s out of your price range, you may want to look for a card that charges fewer fees. Biting the bullet and paying a high annual fee may pay off, however, if a card has perks that you can’t pass up on (like a free plane ticket every year). 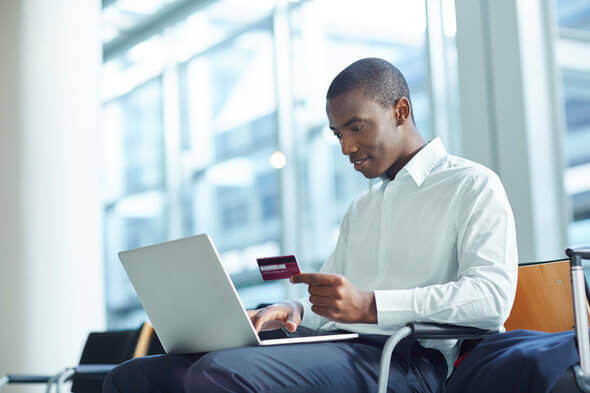 If there are foreign transaction fees and fees for transferring points to other rewards programs, that’s something you’ll need to take into consideration. Ultimately, you may need to do some calculations before you can decide whether it’s worth it to get a credit card with a high annual fee. If a travel card has a $100 annual fee and every point you earn is worth 1 cent, you would need to earn at least 10,000 points per year to make up for the high fee. While you’re busy crunching numbers, you may want to calculate the value of the rewards you’ll be earning. You’ll also need to pay attention to the number of points or miles you can earn with every dollar you spend. Just remember that your miles or points could be worth more depending on how you redeem them. The credit card issuers’ stance on what qualifies as a travel expense matters, too, when you’re trying to pick a travel credit card. Applying for a credit card probably doesn’t make sense if the services it counts as travel expenses are the ones you never use. What Counts as a Travel Expense? Not all credit card issuers agree on what’s considered a travel-related expense. That can make earning and redeeming rewards with a travel credit card a bit tricky. The general consensus is that a handful of purchases always count as travel purchases. For example, you’ll normally be able to earn rewards whenever you use your credit card to rent a car, book a hotel stay or buy a plane ticket. Sometimes a credit card issuer will include parking fees, tourist attraction costs (like trips to the zoo or the aquarium) and real estate agent fees (charges related to renting out rooms) in its list of qualifying travel expenses. But that’s not the case with every travel credit card. Something else to consider as you’re trying to figure out what does and doesn’t count as a travel expense is the fact that some expense categories are broader than others. For example, let’s say that a travel credit card says that you can earn rewards for spending money on limousines and taxicabs. Depending on your credit card issuer, that category may include rides secured through apps like Lyft and Uber. This is where merchant category codes (MCCs) come into play. Merchants have banks that get to choose the type of business that a particular retailer falls under. They use an MCC to distinguish themselves from other kinds of companies. So if your travel credit card lets you earn rewards when you use a travel agency, you may be rewarded for using Kayak or Priceline to book a flight. Many travel websites use the same MCC that traditional travel agencies like AAA use. Bottom line: It’s important to find out how a particular card issuer defines travel before filling out a credit card application. After all, you’ll be disappointed if you sign up for a credit card that won’t give you credit for all of the toll fees you have to pay or the bus fare that you’re covering on a daily basis. In most cases, this information should be available on a credit card issuer’s website. If you can’t find it, you can call and speak to a customer service representative. Not all travel rewards have the same value. That’s why it’s important to find out how valuable a travel card’s points or miles will be before applying for that card. In order to do that, you’ll need to pay attention to two factors: the earn rate and the redemption rate. The earn rate is simply the amount of points or miles you’ll earn with every dollar you spend. The redemption rate looks at what a single point or mile is worth in dollars. Travel rewards are typically worth 1 cent apiece. But the value of a mile or point could be more or less than that depending on the card issuer, the rewards program and the way you redeem your rewards. A basic formula can show you the value (or the redemption rate) of your points and miles. You’ll need to find out how many miles or points you need to earn a reward. Then you take the value of that reward (in dollars) and divide it by the number of miles or points you need to claim your prize. So if you need 40,000 points for a $400 flight, the redemption value is 1 cent ($400/40,000). Just because a travel credit card will give you a lot of points or miles for every dollar you spend doesn’t mean that those rewards are more valuable. Card A may give you two points for every dollar you spend at a hotel chain while Card B may give you one point for every dollar you spend on a hotel stay. But Card B may have a higher redemption rate if a single point is worth 1.25 cents versus 0.70 cents with Card A. The best travel rewards cards have a high redemption value. But again, it all depends on how you plan to redeem your miles and points. One point could be worth 1 cent if you need 32,000 points for a $320 flight from Atlanta to New York City. But a single point could be worth about 0.78 cents if you transfer your points to a hotel loyalty program that’ll give you a $250 coupon for the 32,000 points you’ve earned. Transferable points and miles are usually attached to a specific exchange rate (which is usually 1:1). If your credit card points or miles aren’t transferable, they may have a fixed value. That’s something you’ll need to pay attention to. Fixed-value points can only be redeemed for a set dollar value (which is usually one to two cents). What does that mean? Let’s say that you want to use your points to buy a $300 plane ticket. If you have fixed-value credit card points that are always worth 1 cent per point, you would need 30,000 points in order to book your flight. So if you’re trying to exchange your fixed-value points for an expensive item, making that happen might take a while. In addition to assessing the value of your points and miles, you may want to figure out how much your other credit card perks are worth. Putting an exact value on these kinds of rewards can be difficult. But you can try to base it on how much money you’ve saved by taking advantage of those benefits in the past. Free priority boarding, for instance may save you $30 every time you fly. If you’ve found a travel credit card you think you’ll be happy with, you’ll need to apply for it. You can do that by submitting either an online or paper application. Just keep in mind that if you’re sending in an application through snail mail, processing it could take a couple of weeks. In contrast, if you complete your travel credit card application online, you could be instantly approved for it. Before issuing you a travel credit card, a card issuer will pull your credit report, check your credit score and look for recent hard inquiries, delinquencies and other derogatory marks. It will also calculate your credit utilization ratio and your debt-to-income ratio. The former looks at how close you’ve come to maxing out your existing credit cards. The latter takes your monthly debt payments and divides them by your gross monthly income. Essentially, your debt-to-income ratio indicates whether you would have enough money to pay the monthly bill for a new credit card. Another factor that a credit card company will likely consider before approving or rejecting your application is your credit mix. That looks at whether you have other loans and lines of credit and your experience with managing those accounts. But it only accounts for 10% of your FICO credit score. The length of your credit history (which accounts for 15% of your FICO score) and the number of new credit accounts that you have (which accounts for 10% of your FICO score), will be taken into consideration as well. If your credit card application is approved, you can expect to receive it within seven to 10 business days. Once your travel credit card arrives, you’ll need to set up your account. There may be multiple ways to redeem the points you earn through your travel credit card. But you’ll often get the most out of them by using them toward travel. In contrast, the worst redemption rates are often the ones attached to points redeemed for products and merchandise. Before you redeem a single point or mile, it’s a good idea to read your credit card’s terms and conditions. Knowing what’s in the fine print is important if you have questions about applying your travel rewards. Besides looking at the rules for trading in your miles and points for discounted goods and services, you’ll need to figure out how to squeeze the most value out of your travel credit card. Is transferring your travel points to programs owned by travel partners the key to maximizing your rewards? Or do you need to book your travel through a specific website or travel agency to get the most bang for your buck? There will always be good redemption options and bad redemption options where your rewards are worth less than 1 cent. 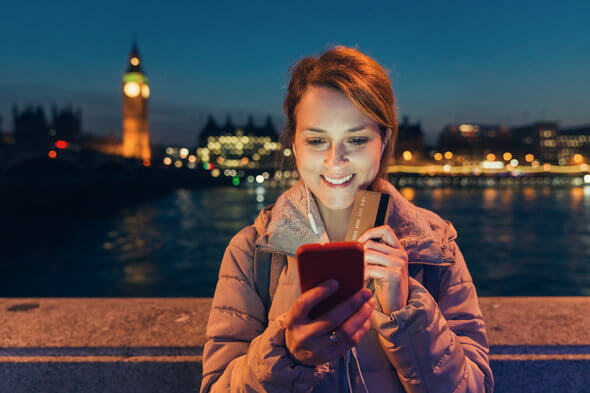 Doing your homework and learning as much as you can about your travel rewards program is essential to becoming a savvy travel credit card user. Eager to do whatever it takes to rack up travel points or miles? If you’re strategic, you can figure out how to accumulate thousands of miles within a short time span. With many travel credit cards, you don’t even need to get on an airplane or book a hotel room to earn rewards. The easiest way to earn rewards is to use your travel credit card on a regular basis. If you can find a card that offers you rewards for every purchase you make, your points and miles can quickly add up. You may be able to earn two or three times as many rewards at once by using your credit card’s online bonus mall or travel portal. Carefully reading your card’s terms and conditions should show you whether there are other ways to double or triple dip. For example, you may earn more rewards by linking your credit card account with another rewards program account. It also doesn’t hurt to find out if you can earn points or miles by using your travel credit card to pay bills or purchase gift cards. Looking for a travel credit card with a sign-up bonus is another way to earn extra rewards. In order to receive bonus miles or points, you’ll likely have to spend a certain amount of money within the first three months of activating your credit card account. You may also be able to earn additional rewards by making someone in your family an authorized user. Regardless of whether your sign-up bonus is an additional 10,000 miles or 30,000 points, you’ll need to be sure to make room in your budget for your credit card payments. If you’ve applied for one of the best travel credit cards, hopefully, you won’t have to spend too much money before you can claim your sign-up bonus. Earning as many travel rewards as you can is one thing. But learning how to make the most of them is a different story. There’s no point in taking the time to earn rewards if you’re going to let them sit in your account and eventually expire. In order to maximize your rewards, you’ll need to know the ins and outs of your credit card’s rewards program. Understanding how blackout dates affect your ability to use your rewards can help you plan ahead. And if they will expire at some point, having that date in the back of your mind can be helpful. If you can never remember any due date, you may need to set a reminder on your smartphone or make a note on your calendar. Once you get a good sense of how your travel credit card works in terms of earning and redeeming rewards, it may be a good idea to set goals. Would you like to earn enough miles for a free trip to Croatia? Or would you prefer to use your points to save money on hotel rooms because you’re always out of town for work? Having a clear sense of why you’re earning rewards in the first place is important when you’re trying to be intentional about the way you redeem them. You’ll also need to make sure you’re being a responsible credit card user. If you consistently forget to pay your credit card bill on time or you have a tendency to go over your credit card limit, the amount of fees you’re paying could exceed the amount of points or miles you’re earning. If that happens, your travel rewards won’t save you much money. This means that it’s also important to avoid spending money just to earn rewards, knowing that you’ll eventually have to pay off your credit card debt. When it comes to redeeming travel rewards, it helps to be flexible. One of the best ways to maximize your points or miles may involve booking a last-minute flight to another continent. Should you transfer your miles or points into hotel or airline loyalty programs? Converting the airline miles you’ve earned into hotel points could make sense if you have a good exchange rate. Otherwise, transferring your rewards wouldn’t work in your favor. In fact, you could waste your rewards by transferring them haphazardly without thinking about the consequences of your actions. For instance, if you have a hotel credit card, transferring your points to an airline’s rewards program may be possible. But the exchange rates for those kinds of transfers usually aren’t great. Not all miles and points are transferrable. For the most part, you can’t transfer miles from one frequent flyer program to another. An exception to that rule may apply if your airline loyalty program has a partnership with another airline. In many cases, travel credit cards tied to a bank’s rewards program have the highest number of transfer partners. You may be able to transfer your rewards to dozens of airlines and a handful of hotels. Your credit card’s program contract should have information about the rules for transferring miles and points. To make the transfer, you may need to call customer service. Or you may be able to transfer your rewards through your account online. Transferring your travel miles or points to another person may also be possible. An airline mile isn’t the equivalent of walking or running a mile on the ground. It’s just a rewards card unit. In some cases, points and miles mean the same thing. Miles may be redeemed for flights booked through a frequent flyer program or through a general travel rewards card program. Miles may also be transferred between loyalty programs. 2. How many rewards do you need to earn a free flight? It depends on the travel rewards credit card program, where you’re planning to travel and the kind of seat you want. This means that a first-class ticket will require more miles or points than a seat in economy class. Just note that a free flight technically won’t be free. You’ll still be responsible for paying applicable taxes and fees. 3. Do I need good credit in order to qualify for a travel credit card? You may not need great credit in order to be eligible for certain credit cards. But if you’re interested in applying for one of the best travel credit cards, you’ll probably need a good or excellent credit score. Taking the time to fix your credit could be a good idea if you don’t want to get stuck with a high annual percentage rate and a low credit line. 4. What should I look for when I’m comparing travel credit cards? It’s important to look for a credit card that will fit your needs and help you meet your goals. You’ll need to consider all of the perks that go along with a particular credit card and see how they stack up against the card’s fees and interest rates. If you want a card with a sign-up bonus, the best travel credit cards have low minimum spending requirements. 5. How many travel credit cards should I sign up for? Some of the savviest travelers and frequent flyers have dozens of credit card accounts. Some folks apply for almost every credit card promotion that they come across. For the average person, however, it’s probably best to space out your credit card applications and only apply for the cards that will help you meet your goals. Don’t forget to figure out how getting a travel credit card will affect your credit score and your overall financial situation. 6. How can I tell whether a travel credit card offer is a good deal? You’ll need to crunch some numbers. You’ll need to figure out how many miles or points you need to earn a reward. Then, you can take the dollar value of that reward and divide it by the number of miles or points you need for redemption. Next, you’ll need to calculate the dollar value of your other credit card perks (based on how much money you could save by earning those rewards). Finally, you can combine the value of all of your rewards and compare that total amount to the fees that you’d have to pay. If the fees you’re required to pay are higher than the monetary value of the card’s rewards, you’re better off finding another travel credit card to apply for. 7. Can travel rewards lose their value? The value of points and miles can increase and decrease when credit card companies and their sponsors change their awards charts and redemption rates. In contrast, the value of cash rewards tends to stay the same over time. 8. How can I protect myself from travel reward devaluations? When travels rewards are devalued, it becomes more difficult for cardholders to earn and redeem those rewards. Reward devaluations can be particularly troubling for members of frequent flyer programs who can’t transfer their rewards to other loyalty programs or redeem their miles for anything other than flights and merchandise from a single airline and their partners. Before you apply for a travel rewards card, it’s important to consider that the value of your rewards could change. If you’re concerned about reward devaluations, you may want to choose a general travel credit card. That way, you’ll have more options when you’re ready to redeem your rewards. 9. Are all travel rewards transferrable? Different travel rewards cards programs have different rules. Sometimes, transfers between loyalty programs are permissible. 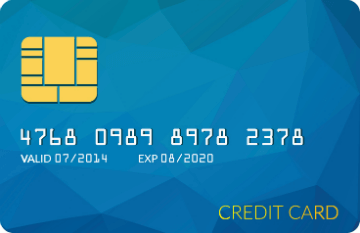 With other kinds of credit cards, rewards transfers may be prohibited. You’ll need to do your own research to find out what you can and can’t do with your travel points and miles. 10. How can I make the most of my travel rewards? 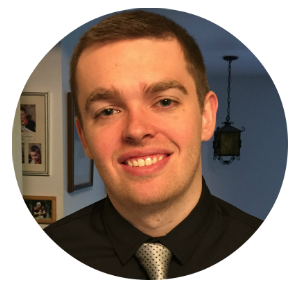 Understanding the way your rewards program works is essential if you’re trying to maximize your rewards. Generally, you’ll make the most out of your rewards when you use them for travel instead of redeeming them for merchandise. Paying your balance in full each month by the due date can help you avoid fees and interest payments that would reduce the value of your rewards. You’ll likely come across many enticing offers during your hunt for a travel credit card. Taking the time to consider all of the pros and cons of applying for a card can be helpful when you’re trying to pick the card that’s best suited to your budget and lifestyle. SmartAsset's interactive map highlights the places in the country where people could potentially rack up the most airline rewards. Click between states and the national map to see where people are leaving the most credit card airline rewards on the table. Methodology Our study aims to find the cities where people could be earning the most airline rewards. We determined the cities where people spend the most on airline travel and then determined a dollar value for that spending. We used data from the Bureau of Transportation, in addition to SmartAsset's own rewards valuation model. First, we looked at the number of passengers taking domestic flights that start from each city for all major carriers. The data comes from the Bureau of Transportation Statistics. We then paired the number of passengers originating from each carrier in each city with data on the average airfare for domestic flights originating in each of the cities in our study. Data on average fares comes from the Bureau of Transportation statistics Airline Origin & Destination survey. Using the average fare and number of originating flights by carrier, we were able to estimate consumer spending by carrier for each city. We ran the spending for each carrier through SmartAsset's rewards valuation model, which values major miles programs based on a simulation of dollar and the value of travel miles for more than 200 domestic flights. Finally, we ranked each city in our study by the value of the travel by the people in the city. The cities at the top are places where people could be earning the most rewards from current travel patterns.